I played about 50 credits last night, working on getting consistent in activating the Ura bosses, which is not easy to do! 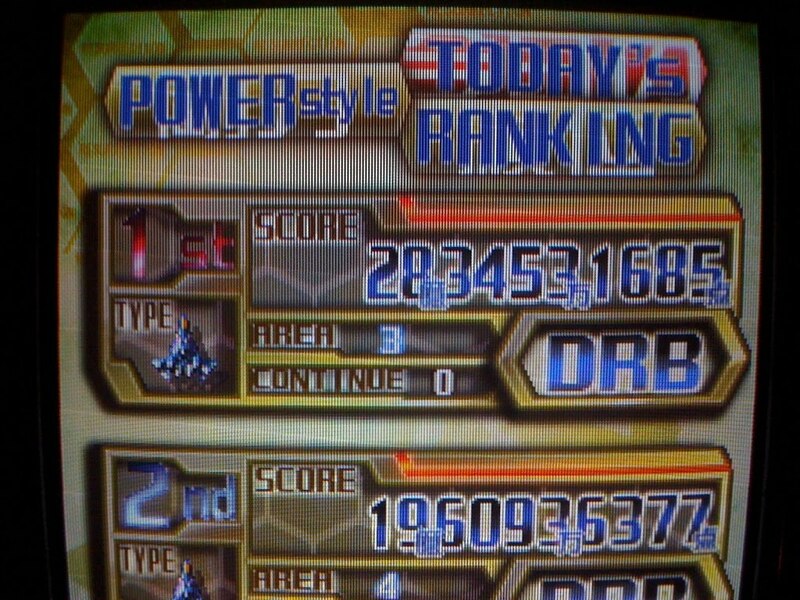 I'm also working on chaining the stages once driving up the counter, which is not nearly as hard as previous DP titles. It's a pretty easy technique to scoring, which follows this basic pattern: 1) Use a hyper at the beginning of the stage to drive up the hit counter. 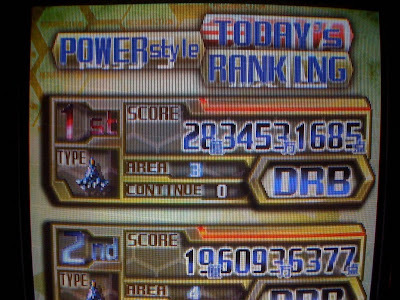 2) Kill stuff the second half of the stage to get crazy points. Your multiplier from your hit counter will only kick in if your hyper meter is full, so you need to fill that as soon as possible after that counter gets jacked up. Bees give you big boosts to your hyper gauge and it also charges while cancelling bullets in Boost mode, but not Normal mode, which just increases your hit counter more rapidly. You end up flicking back and forth from Normal to Boost to Hyper, to laser to rapid fire pretty often, making it inperative to learn and get comfortable with the button layout. More than once I have dropped an awesome hit counter from hitting the wrong button. Mostly when I get excited - like heading into the second stage Ura boss and needing to hyper right off the bat to continue the chain. The game is pretty forgiving and amazingly awesome. I haven't been into a game this much in a long time. I really hope to lay down an actual good score (5x what I have here) soon and I'm using this high score post as more of an update on my progress more than anything. Glad to see you're getting some good out of that one. I had too many new things at once and haven't really given most of them enough love just yet. I am getting better at leaving games in the cab now and not switching so often, and I've slimmed down my collection to the games I enjoy most too. That helps! Definitely. I really like this game! I'm hoping they announce a port for it and the pcb value plummets so I can actually afford one. Used pcb's just aren't coming up and $1300+ for a kit is out of my range. I had Dave over last night and he got a chance to play it a bit and he said he really liked it. We played a lot of credits on it, me trying to get the ura bosses and him just trying it out. I wouldn't worry about giving it too much love, brentsg - you do have DFK BL to play! Ah very cool, glad he got to give it a go. It seems a pretty obscure game in the States still. I did see a kit on Cave-STG recently for $1100ish, but it's still a lot.